The purpose of the Circulation and Mobility Vision is to guide place-based, comprehensive transportation planning in our neighborhood that will allow all types of people to travel to and move around the neighborhood, safely and smoothly, by any mode they choose. 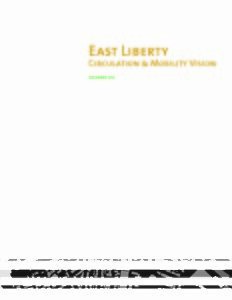 Sponsoring Organization: East Liberty Development, Inc.
A “Green Vision” makes concerns of daily life a priority, addressing not just environmental issues, but quality of life issues for every visitor, business owner, employee and resident of East Liberty. The Green Vision for East Liberty represents a neighborhood planning effort initiated by East Liberty Development, Inc. More than a planning document, the Green Vision offers resources and tools for ELDI and the community to help guide development and provide a foundation for integrating green practices into neighborhood investments – both public and private. 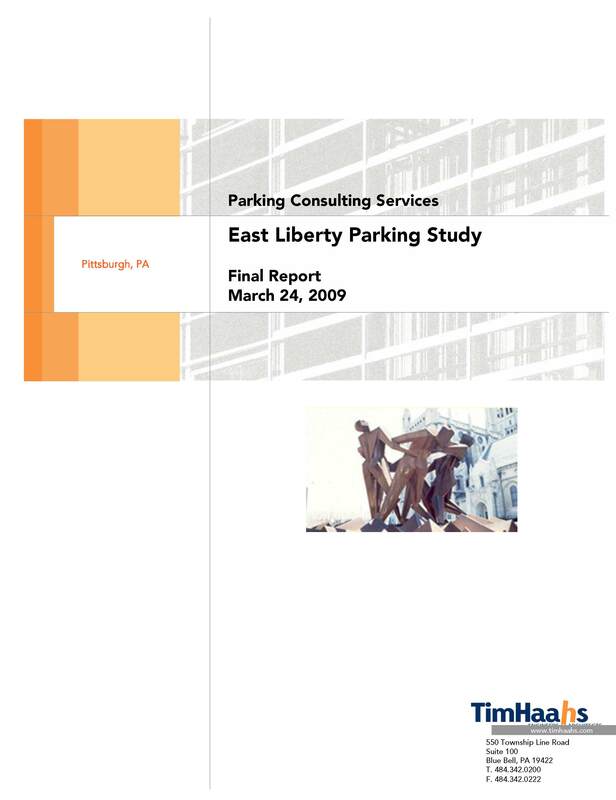 A comprehensive look at East Liberty’s parking capacity and future needs was completed in 2009. Continued revitalization means that the parking system will undergo dramatic changes in both supply and demand in the coming years. This study outlines several possible strategies to address future parking needs. Authors: Timothy Haahs & Associates, Inc. Within a span of five years (2008-2012), overall crime in the residential area of East Liberty has decreased by 49%, and residential property prices have doubled. ELDI Real Estate, LLC commissioned a crime study analysis to examine the linkages between developments in lowered crime rates, increased property values, and initiatives of ELDI. Series of white papers to address the role that East Liberty Development Incorporated (ELDI) had in the dramatic revitalization of Pittsburgh’s East Liberty neighborhood in the East End of the city. By using a combination of creative financing and Low Income Housing Tax Credits, ELDI purchased, and then turned a variety of hotpots of crime into clean and safe affordable housing, with effective property management to keep them safe. By surgically targeting the geographical locations of chronic and perpetual criminal behavior with these strategies, crime began to drop. As crime decreased in East Liberty,property values increased. This white paper explores the theoretical underpinnings of ELDI’s crime reduction strategy.